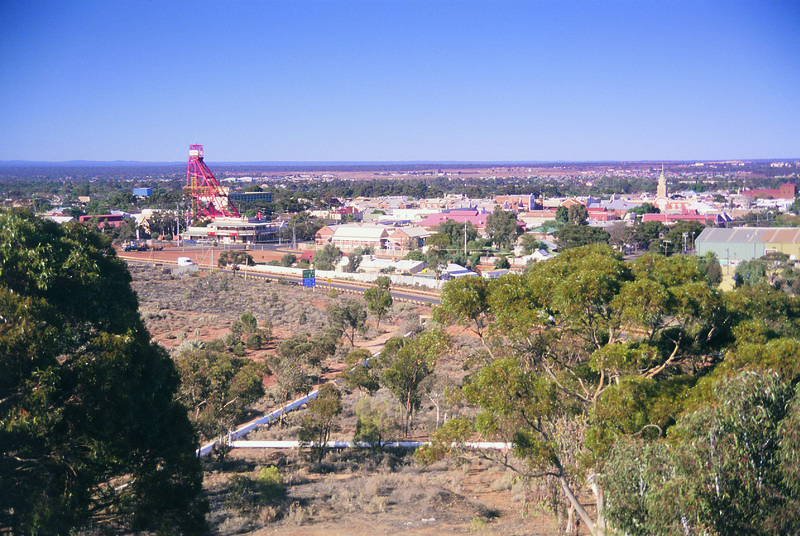 Kalgoorlie is Australia’s largest outback city. Built on gold, it remains one of the most important gold and nickel mining areas in Australia. In 1892 Irishmen Paddy Hannan, Tom Flanagan and Daniel Shea joined the gold rush to Coolgardie. In June the following year, while on a prospecting expedition, they camped at the foot of Mt Charlotte and found about 100 ounces of gold in just two days. Hannan returned to Coolgardie and on 17 June 1893 applied for a reward claim for discovering the new field. 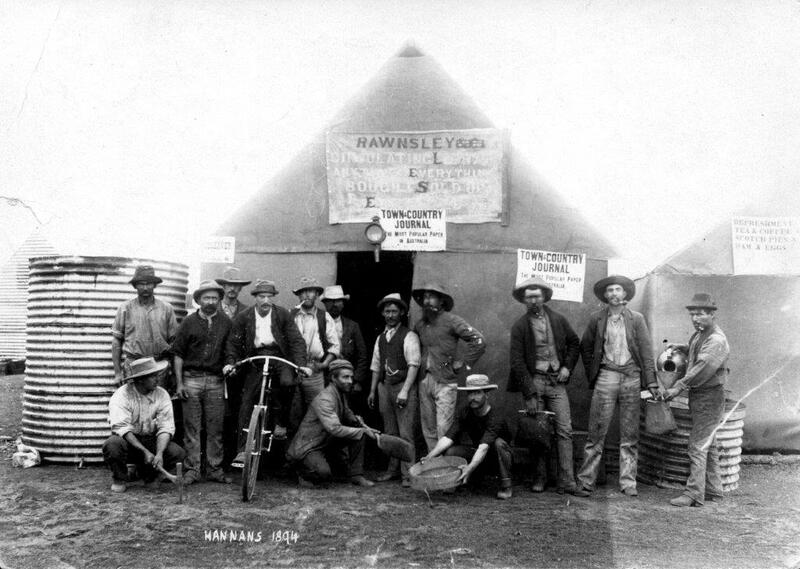 Within three days an estimated 700 men were at Hannan’s, later to be called Kalgoorlie. The Aboriginal people had known the area as “kulgoolah” – the silky pear common to the region. The rush was, however, short lived. The alluvial gold was soon exhausted and most prospectors, including Hannan, moved on. It was not until 1895-6 when some of the remaining miners sank shafts to the south of Hannan’s original find that the full magnitude of the gold load was discovered. The “Golden Mile” was born. The population increased rapidly and a second town, Boulder, was established closer to the new mines. 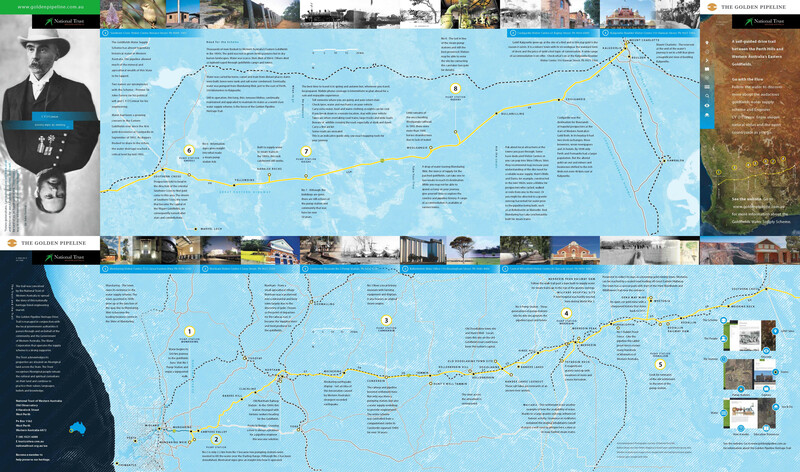 Both towns prospered and by the time the Goldfields Water Supply Scheme was completed in 1903 they had a combined population of some 30 000 obviously thirsty people – in addition to the new water supply, there were 8 breweries and 93 hotels. Fortunately a considerable amount of that prosperity was spent in erecting magnificent hotels and public buildings. Since its discovery, the Golden Mile has produced more than 45 million ounces, or 1500 tonnes of gold. But gold was not the only mineral to be found. In 1966 rich nickel deposits were discovered south of Kalgoorlie at nearby Kambalda and the Kalgoorlie Nickel Smelter, commissioned in 1972, is now the world’s largest nickel producer. 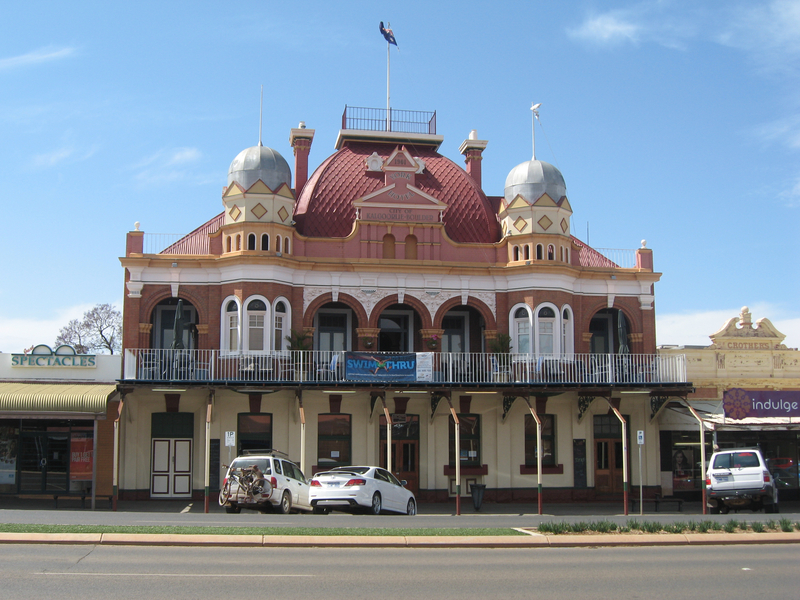 Kalgoorlie still has a population of about 30 000, and it still has its magnificent buildings. But it also has all the amenities of a modern town. Mining remains its heart and soul. In the year 2000, one mine alone produced gold to the value of $750 million, and the total value of nickel and cobalt mined from the city was in excess of $570 million. But what of the men who started it all? Tom Flanagan died in Bendigo in 1900, a far from wealthy man. Daniel Shea continued to prospect up to 1904 and died four years later, no wealthier than his partner. Paddy Hannan did a little better. 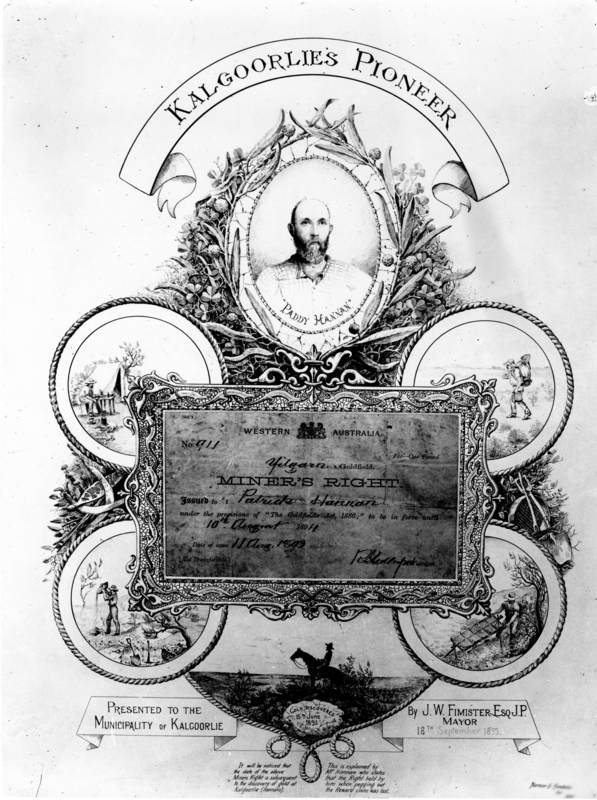 While he never achieved the wealth of many who followed in his footsteps, his contribution was recognised when, in 1904, the Western Australian Government granted the 61-year-old a pension of £100. He died in Victoria in November 1925.